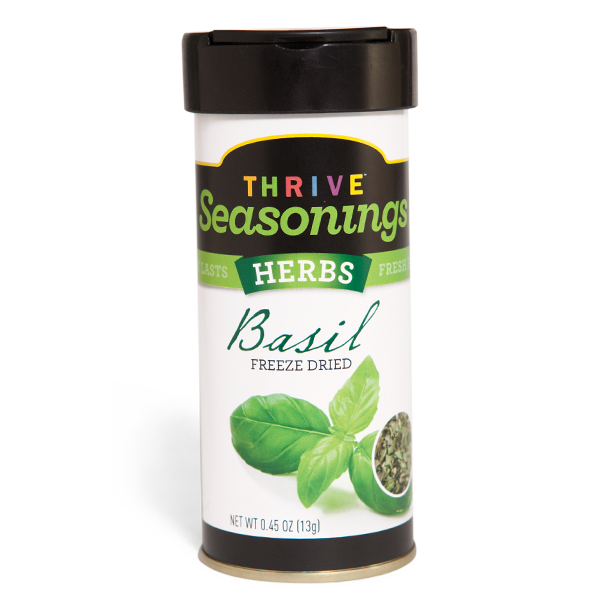 Instantly freeze dried for the unmatched flavor of fresh herbs without the hassle, THRIVE Basil is perfect for beef stew, Bolognese sauce, cold bean salad, or Tuscan chicken. Use same amount as with fresh basil. Freeze dried herbs are comparabLe to fresh. so use the same amount as you would with fresh herbs. Our herbs are an easy way to add flavor to soups and sauces. Mix them into bread dough to make artisan loaves, or sprinkle them over entrees for a gourmet finish.